We all admire a leader who can simplify a complex problem into an understandable, simple, explanation of the essential elements. We are motivated by the leader who can set out a clear, concise solution to a complex problem. Ultimately, in the best companies this leads to a simple, clear strategy for success. Paul O’Neill was appointed CEO of Alcoa in 1987 to turnaround the troubled aluminum giant which had a market capitalization of $3 billion and falling. By the time he retired in 2000, the market capitalization had grown to $27 billion. In his first, keenly awaited speech in a ballroom in New York, in 1987, he stated one simple objective that would energize and focus his management and staff for years to come – the company would transform one thing above all else – safety. By focusing on a subject that no one could disagree with (the track record on fatalities in the workplace was not good), by focusing on one specific agenda item, he was able to drive a change in mindset, a transformation in efficiency, a complete turnaround in profits and a safety record admired around the globe. It takes great insight, know-how, experience and intellect to understand the complexity of many business issues. But it is possible to strip down the problem into the essential elements to allow a practical, simple solution to emerge. The simplicity doesn’t make it right. It’s the specific deep domain knowledge of that space, mixed with great insight, curiosity and a burning ambition to crystalize an answer that often leads to the simple solution being right. Simplifying a task doesn’t make it easier but it makes it more enjoyable (see Derek Sivers short animated podcast here. A few years ago the WSJ ran an article titled “Speech of the Year” which highlighted a speech delivered by Jackson Hole, a Bank of England regulator. The thesis of his speech? 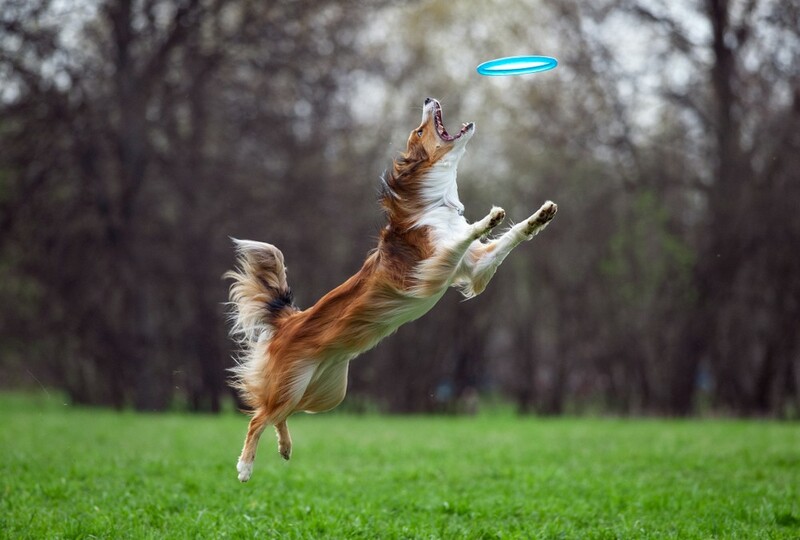 The dog and the frisbee. Basically Jackson explained, border collies can often catch frisbees better than people, because the dogs by necessity have to keep it simple. He went onto explain that banking regulations are way too complex to be effective. For example as Bear Stearns was about to be rescued in 2008, it was actually compliant with complex regulations. Complex regulations that were clearly ineffective. The simplicity thesis was covered again more recently in the WSJ, in an article discussing Professor’s Hansen at the University of California’s new book, “Great at Work: How Top Performers Do Less, Work Better, and Achieve More.” In 2011, Professor Hansen conducted a five-year survey of 5,000 managers and employees, including sales reps, lawyers, actuaries, brokers, medical doctors, software programmers, engineers, store managers, plant foremen, nurses and even a Las Vegas casino dealer. Two major conclusions from the research were selectivity and simplicity. As the article explains, the highest performers carefully selected which priorities, tasks, meetings, customers, ideas or steps to undertake and which to let go. We should no longer take it as an automatic compliment to hear that we’re “hard working.” Hard work isn’t always the best work. The key is to work smarter. Is complexity getting in the way of your leadership performance? The story on your web site is verbose, rambling, jargon filled and confusing. Your sales scripts and engagement strategies are peppered with complex features and terminology. Leadership communication sends complex conflicting messages making it impossible for them to prioritize. Project responsibilities are shared, leading to poor accountability and missed deadlines. As the leader, please ensure you communicate your positioning to the whole company. What are you going to be #1 at? What are you going to be remarkable at? People are motivated by simple, believable goals. Pick 3 big goals for the year that will move your strategic dial and engage all senior managers in those goals. And at a more granular level, keep tactics simple. For example a product brochure in the B2B world should spell out your big value propositions that you deliver for customers, Features and key specs? List them under your value propositions. Service first, sell second. Prospects have complex problems. But you don’t solve them by delivering complex questions. You ask diagnostic simple questions to get to clarity quickly. The product road map has a plethora of opportunities ahead of it. However think simplicity in terms of building the product, selling it, using it. Remember you are building the product to be used not to win an award. Big data thinking drives us all to imagine a million things to measure. The problem with measuring everything is that you end up managing nothing. Keep metrics measurement down to items that you want to manage. Allocate one person to cover each family of key metrics, to manage, to correct or at least to flag up to management that there is a problem. Financial management can be a complex affair. Don’t let it be. Set out the 10 basic questions you want the CFO to answer every month (curate from this list ). After every meeting whether it involves two or 22 people, ensure there is a set of actions with ownership. Decide the challenges that merit being called projects. Further define five things: Project Manager, objectives, success criteria, resources and timetable. Simple. Simplicity is the key. You are either remarkable or invisible. Your choice. The Portfolio Partnership (TPP) is an operational consultancy that scales businesses organically and by acquisition. All of our work has two common themes, we deploy our services through a Fractional C-Suite model using our successful tools and process that we know work. It’s a feet on the ground strategy. Our desire to work with a client is based on the ambition, openness and humility of the management team and rarely the sector. Ian@TPPBoston.com.